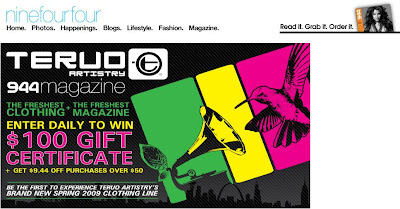 is a premiere apparel brand out of California. Living up to their slogan, "
," they are known for their inventive blend of Hip Hop and Urban symbols, natural symbols, and Californian landmarks. You may have seen some of their designs on your hippest Californian friends, across the trendsetting web, and in quality retailers near you. 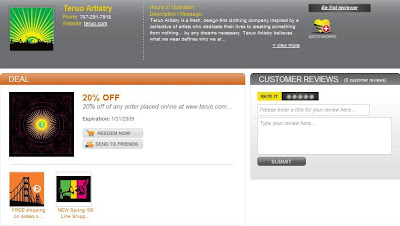 Teruo is currently running a fantastic deal on Qmania. Go there now to receive 20% off orders on their online store. Keep your eye on Teruo. Expect great things. For more info, check out Teruo's Blog.